Wow! Need I say more? 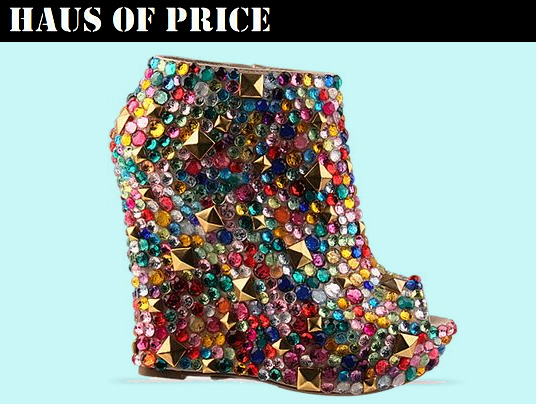 This gem-encrusted wedge bootie – Haus of Price Mega Bootie is jaw-dropping & a dream come true featuring a 5″ heel and 1/2″ platform. Now available for pre-order and will ship out on or by April 10th. Also available in “heel form” from Haus of Price, the Multi Gem Pumps are perfect for your LBD!